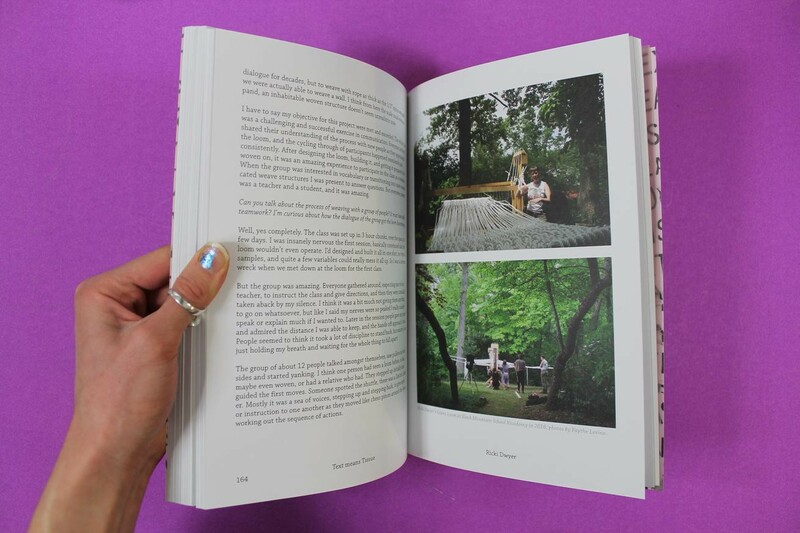 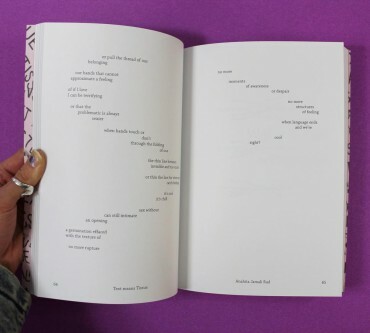 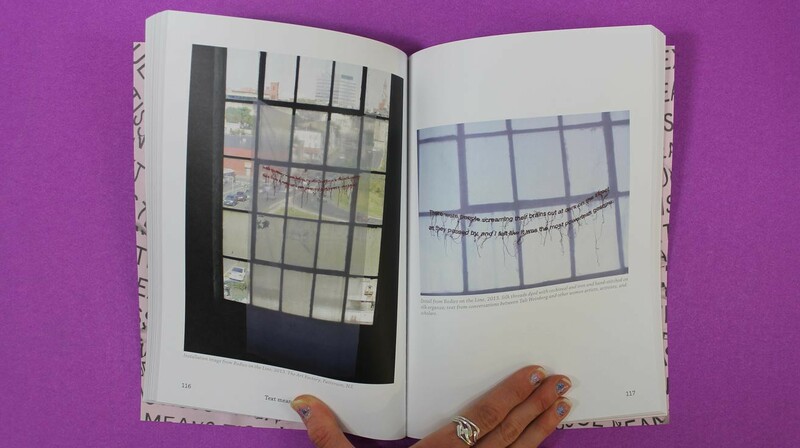 Published in conjunction with Francesca Capone's exhibition of the same at Nationale (Portland, OR), Text means Tissue is comprised of writings and textiles from over thirty artists, centered on women’s relationships with cloth. Parallels between textile and feminine nature are numerous, and appear repeatedly throughout history and art. 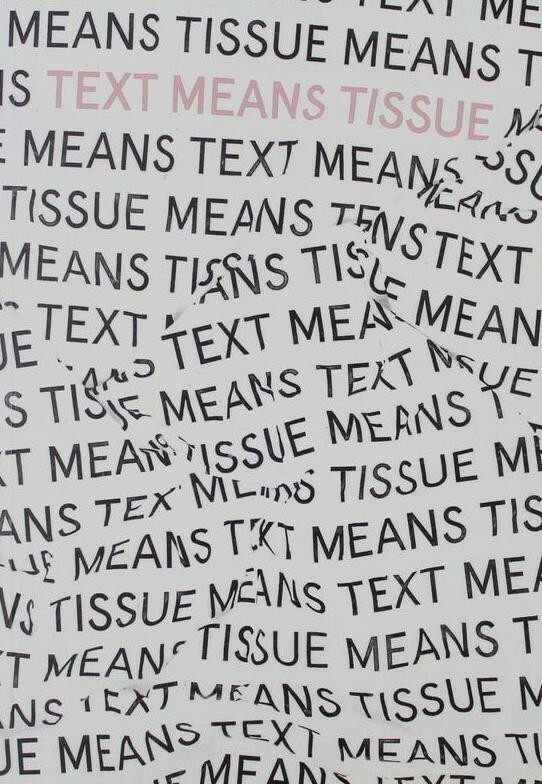 Textiles have functioned as a surface onto which women have expressed their experiences and, more functionally, clothed and protected themselves and their families. 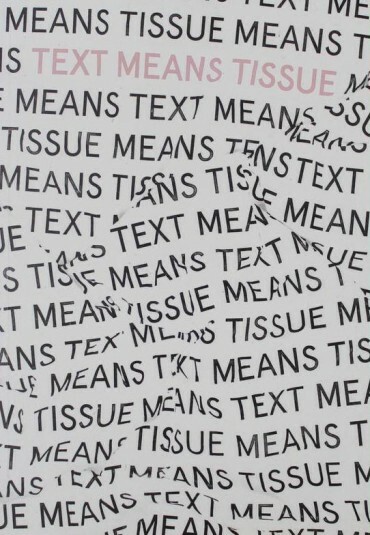 "Text means Tissue" proposes that the articulation of ideas in cloth and writing are interchangeable as modes of feminine expression. Through this expanded use of language, the project creates a contemporary framework for a dialogue that women have been shaping for centuries.